The pioneering actor lived, loved and golfed in Toluca Lake. Richard Arlen in front of his Toluca Lake home in 1928. Over the course of his career, the actor made about 250 movies, sometimes as many as five per year. Photo from the collection of Mary Mallory. From its beginnings, Toluca Lake has attracted scores of celebrities through its rural beauty, proximity to motion picture studios and outdoor opportunities. Among the earliest prominent residents was boy-next-door Richard Arlen, a top Paramount Pictures star of the 1920s and 1930s. The clean-cut young actor loved the area from the moment he saw it, building his first home near the actual lake itself. He would go on to become Toluca Lake’s first honorary mayor — beginning a tradition that continues to this day. 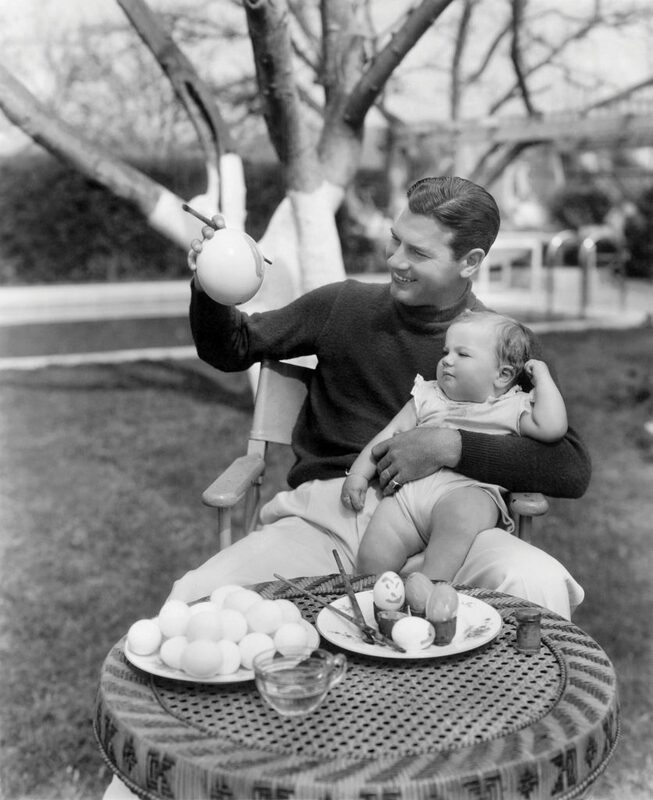 YOLKING AROUND In a Paramount publicity photo, Arlen decorates eggs for his 10-month-old son’s first Easter. Toluca Lake offered an idyllic setting for the quiet family life the Arlens sought. Photo from the collection of Mary Mallory. Born Sylvanus Richard Van Mattimore in St. Paul, Minnesota, in 1899, the handsome young man dreamed of big things from an early age, demonstrating prowess at sports. Eager to serve during World War I, Arlen somehow signed up for the British Army and its Royal Flying Corps, joining up in Canada. While he trained in England, the pilot never saw actual combat. When the war ended, Arlen found himself at loose ends. Though he returned to Minnesota for a short time, he soon hit the road, working odd jobs across the country before becoming a motorcycle messenger boy in Hollywood, delivering film prints from the labs to the studios. On one such job in 1920, Arlen suffered an accident near the Paramount studio gate, breaking his leg. When the studio’s casting director ended up in his same ward at the hospital, Arlen found his way into the movies. Slowly working his way up from bit parts to larger supporting roles, Arlen finally earned his big break under his new stage name in Paramount’s 1927 blockbuster Wings when director William A. Wellman discovered his flying background. Wellman, a veteran of the Lafayette Escadrille during World War I, wanted to create a film about pilots surviving the brutalities of war. In a day without green screen or computers, both Arlen and his co-star Buddy Rogers not only flew for all their scenes, but often shot reaction shots during the daring and dazzling aerial dogfighting as well. Thanks to its outstanding camerawork and tough, moving story, Wings won the first Academy Award for Best Picture as well as an Oscar for Best Effects in 1928. Arlen won his own prize for appearing in Wings: During the year it took to make the film, he fell in love with charming actress Jobyna Ralston, who played his girlfriend in the picture. After a year-long courtship, they married in early 1927. 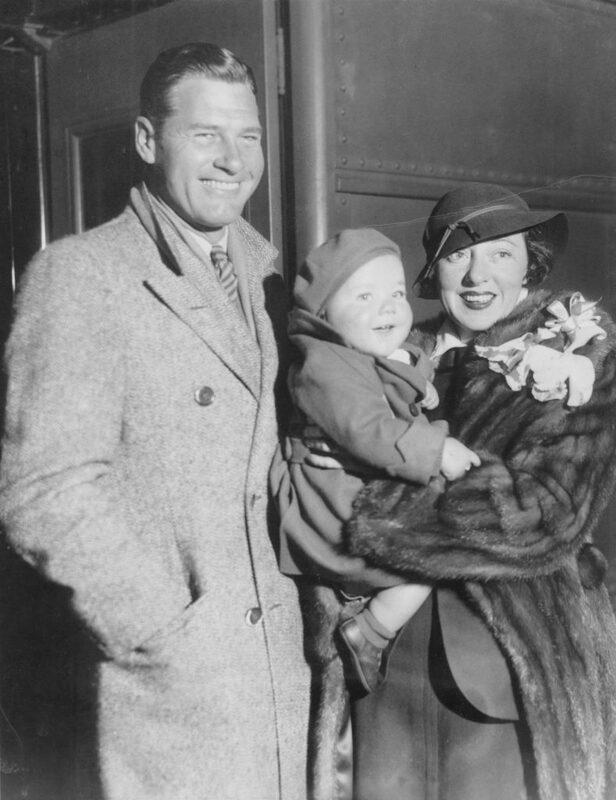 FAMILY PHOTO Richard Arlen, son Richard Jr. and wife Jobyna Ralston on their way to Europe in 1934. Photo from the collection of Mary Mallory. Like Arlen, Ralston had scrapped her way up in the film industry. Born in 1899 in Tennessee, she worked on the New York stage before appearing in Cuckoo Comedies shorts. Her fine performance in Max Linder’s feature The Three Must-Get-Theres led comedy superstar Harold Lloyd to sign Ralston to a three-year deal as his romantic co-star. Audiences fell in love with her sweet, understated girlfriend roles in six of his top films, including Girl Shy, Why Worry? and The Freshman. While making films at the Paramount ranch at what is now Forest Lawn Hollywood, the outdoors-loving Arlen found himself drawn to bucolic, beautiful Toluca Lake, just over the Cahuenga Pass from Paramount Pictures and adjacent to the newly constructed Lakeside Golf Club, which, as an avid golfer, he had recently joined. 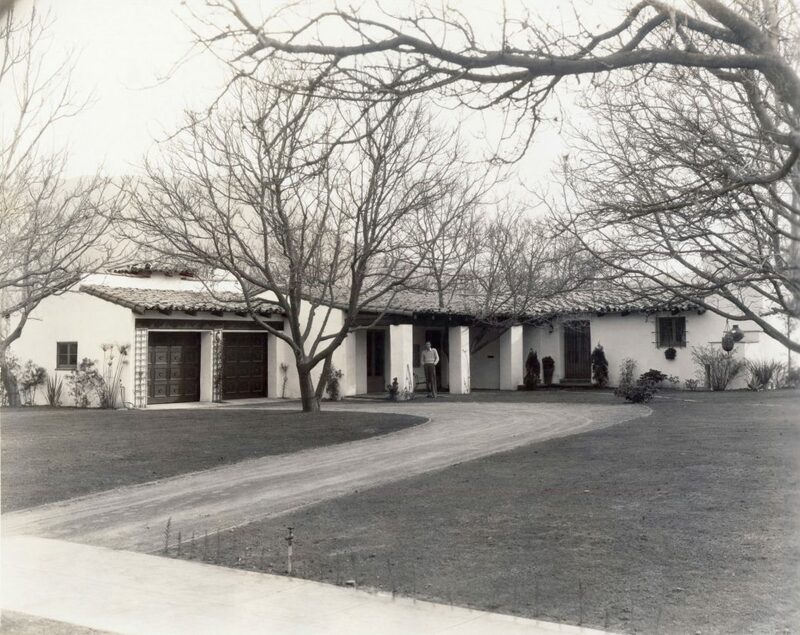 In September 1927, the couple pulled permits to construct a one-story $8,000 Spanish Colonial home at what was then 10025 Toluca Lake Avenue, designed by C.S. Arganbright and decorated by Hollywood art director Harold Grieve. Unpretentious, down-to-earth and easygoing, the Arlens achieved their dream of settling down in a comfortable, cozy house in which to raise their family. When not working, Ralston and Arlen entertained friends at simple dinners or casually rode bikes around the neighborhood with actor friends Charlie Farrell, Walter Huston, Frances Dee and Sylvia Sidney. The couple enjoyed weekends on their yacht or playing golf at Lakeside, with Arlen quickly becoming one of the club’s top players alongside crooner Bing Crosby. Arlen would star in several of Paramount’s top films over the next several years, including Beggars of Life (1928) with Louise Brooks, Ladies of the Mob (1928) with Clara Bow and Four Feathers (1929) with William Powell. Ralston’s career, however, faded as sound films exploded; the silents had obscured her lisp. She devoted her life to raising their son, Richard Jr., and taking care of Arlen. 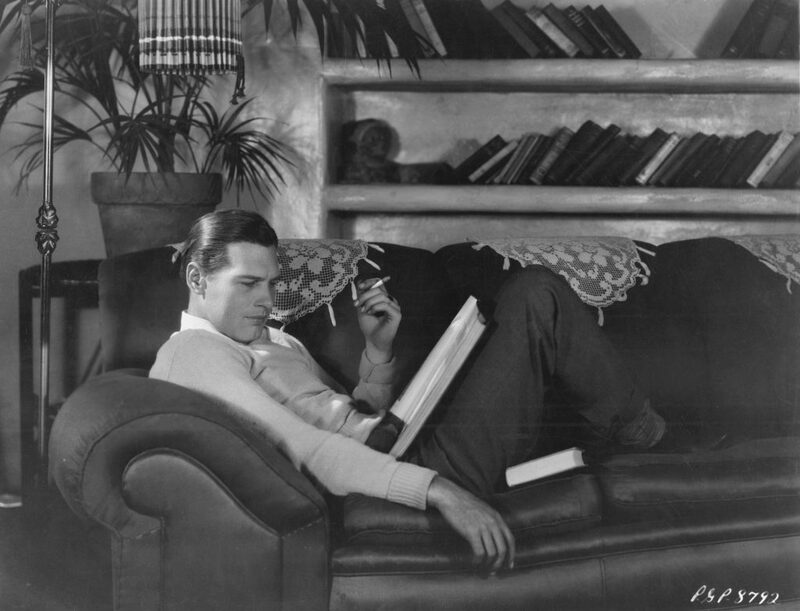 Arlen relaxing at home in 1931. Photo from the collection of Mary Mallory. In 1928, Arlen found himself elected the first honorary mayor of Toluca Lake, a position with no formal duties save bringing recognition to the area and advocating for better public services. Proud to call the community his home, the rugged actor happily served for many years, extolling Toluca Lake’s virtues and mentioning it in the press whenever he could. By 1938, the couple began finding themselves drawing apart, perhaps from all the time Arlen spent on location making action-adventure pictures and westerns. After a seven-year separation, Ralston filed for divorce in 1945. Arlen moved to their ranch farther out in the San Fernando Valley, while Ralston and Richard Jr. remained in the Toluca Lake home, which had seen its address changed by the city years earlier. Arlen would continue making films until his death in 1976, even playing himself in a 1968 episode of Petticoat Junction. Though both Arlens long ago departed Toluca Lake, their lovely but somewhat altered home still survives near Lakeside Golf Club, a gentle reminder of the early community’s rural charms. Mary Mallory is a motion picture historian. She is the author of four books: Hollywoodland, Hollywood Celebrates the Holidays, Hollywood at Play and Living With Grace: Life Lessons From America’s Princess. 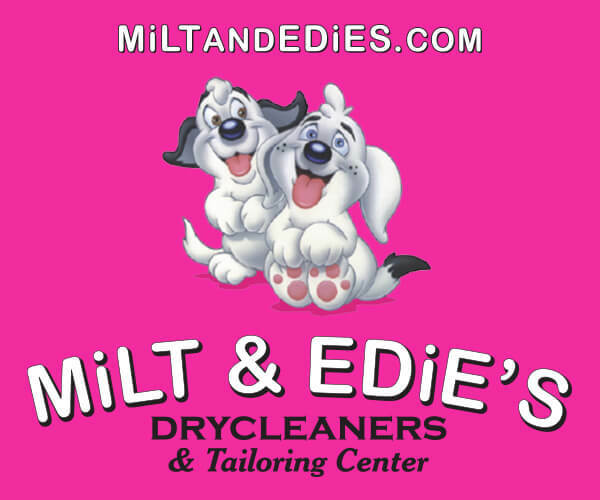 She is a blogger covering Los Angeles and motion picture history for the L.A. Daily Mirror.